These days, it seems like everything you need to know about a place can be found with a quick Google search. But sometimes, the best way to find out about the history or culture of a country is to turn to a good ol’book. From travelogues and guides to non-fiction gems, these are the five books to read before your trip to Japan. When Memoirs of a Geisha by Arthur Golden was published in 1997, it quickly became the year’s must-read and the 2005 film adaptation of the same name thrust Kyoto and its stunning scenery into the spotlight. While the books lovely, lyrical style is enjoyable to read, it is ultimately a work of historical fiction and makes problematic assertions about the integrity of Geisha culture that Japanese people vehemently deny. Mineko Iwasaki, arguably the world’s most famous geisha, was Golden’s main source for his novel and after taking offence to his depiction of her former profession, she decided to publish her own autobiography. Geisha, A Life is a vastly different tale, focusing on Iwasaki’s personal and professional life as one of the most revered geisha of all time. Part memoir, part history, the book sheds light on a fascinating part of Japanese culture that has historically remained in the dark. 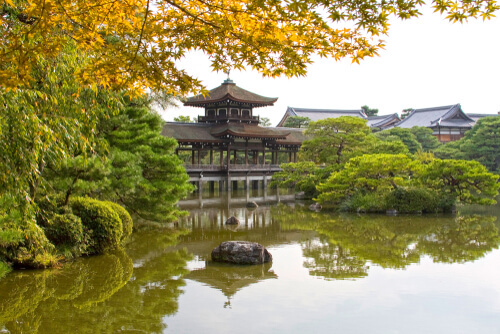 Whether you’re into the eccentric anime-loving side of Japan, or you’re simply interested in the culture, A Geek in Japan is the ultimate beginner’s guide to all facets of the country. Author Hector Garcia is a Spanish expat who has called Japan home for the last 14 years and runs a popular blog, A Geek in Japan. A jovial read, A Geek in Japan is chock-full of tips for travellers and fascinating insights into Japanese society that come from Garcia’s years of lived experience. While there’s certainly an emphasis on all things nerdy and high-tech, the book is suitable for all ages and incorporates many images of food, scenery and festivals into its 160 pages. Hokkaido Highway Blues is the lighthearted account of a gaijin (foreigner) who decides, after a few too many sakés, to hitchhike the length of the country to follow the blooming sakura (cherry blossom). 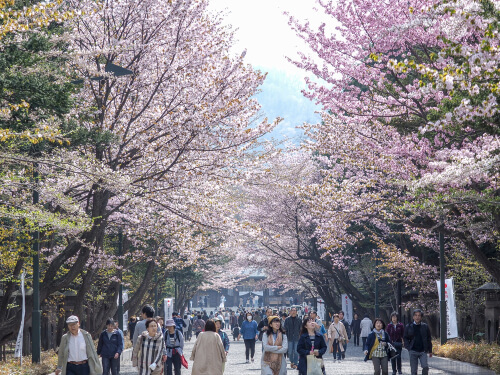 Ferguson, a Canadian English teacher who lived in Japan, embarked on his unconventional journey to learn more about the culture of the country. Packed full of wit, humour and a raw sense of adventure, Hokkaido Highway Blues is a fascinating insight into the lesser-travelled roads of Japan and the notoriously private Japanese people. Throughout the novel, Ferguson is both praising and critical of the country, culminating in an honest account of his experience, sans the overly romanticised lens with which Westerners often view Japan. In 2011, a devastating earthquake hit the east of Japan and triggered a tsunami that took the lives of almost 20,000 people. The combined natural events caused a nuclear meltdown and the country suffered the greatest loss of life since the bombing of Nagasaki in 1945. When the disaster unfolded, British journalist Richard Lloyd Parry was living in Tokyo. Profoundly moved by the event, Parry spent six years researching and interviewing people in the worst affected parts of Japan. Ghosts of the Tsunami is the harrowing result of his journey. While inherently heartbreaking, the novel paints a portrait of resilience through its focus on individual stories within the disaster zone. His thoughtful writing is that of a person intimately familiar with Japan. Ghosts of the Tsunami is a moving and essential read for anyone interested in Japan’s recent history. Widely described as Japan’s most popular contemporary writer, Japanese author Haruki Murakami deserves a place on any list of books related to his home country. His novels are typically mind-bending, reality-twisting and yet, are mostly set in real-world Japan. Any of Murakami’s works could have made the list but Norwegian Wood is viewed as the novel that propelled him into the spotlight. In essence, Norwegian Wood follows protagonist Toru Watanabe who one day hears The Beatles song of the same name and is struck with intense nostalgia for his lost love, Naoko. The novel is set in 1960s Tokyo at a time of widespread political instability and student protests fuelled by the Vietnam war and the controversial US mutual security treaty. The city of Tokyo features prominently in the story and descriptions provide an insight into the Japan of the mid-20th century. The novel is also described as a coming-of-age romance, but the captivating story deals extensively with the heavy burden of grief. It’s also one of his only titles without the magical-realism he has become known for, making it a great introduction for readers unfamiliar with his style.